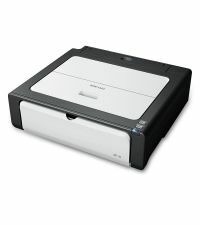 Check exclusive models of single function mono printers at India's top 5 online shopping stores alongwith lowest prices. Compare Samsung VS HP VS Ricoh print only black and white printer. You can see list of our B/W Single Function Laser Printers below, perform Side-by-Side comparison. If you need further help, do have a look at Conzumr Guides and Tips. Alternatively you can view all Printer and Scanner to choose your own favourites. 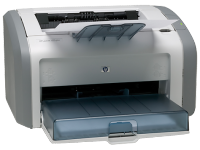 Print your document at a faster rate with this HP LaserJet 1020 Plus Printer. It can handle up to 100 sheets with the maximum media size of A4. This printer uses unique laser printing technology which can print 14 copies per minute. It delivers an acoustic emission pressure of only 49 Decibels which makes it almost noise-free. It has duty cycle up to 5000 pages which makes it ideal for a massive printing task. The high speed USB port gives a quick response time of 10 seconds. Its lightweight makes it easy to carry and shift. Overall, this printer is ideal for small offices. The Ricoh SP 111 produces a very high, laser quality images. It uses state of the art technology to print images at 1200 x 600 dpi resolution which produces crystal clear graphics and text. The printer is compatible with A4, A5, A6, B5, B6 and legal paper sizes, and its paper input capacity is 50 sheets. Its paper handling capacity is 60 to 105 grams per square metre. To Recieve updates and possible rewards for Ricoh SP 111 please sign in. To Recieve updates and possible rewards for Printer and Scanner please sign in.